1. 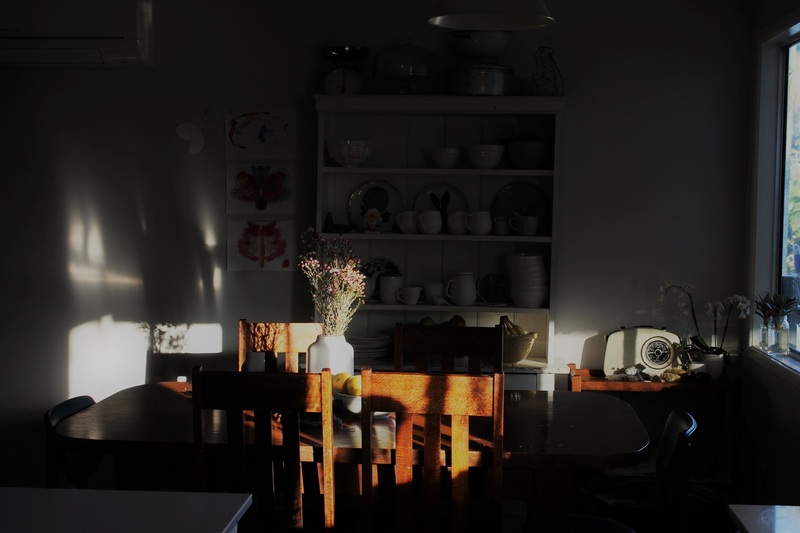 Morning light, 2. 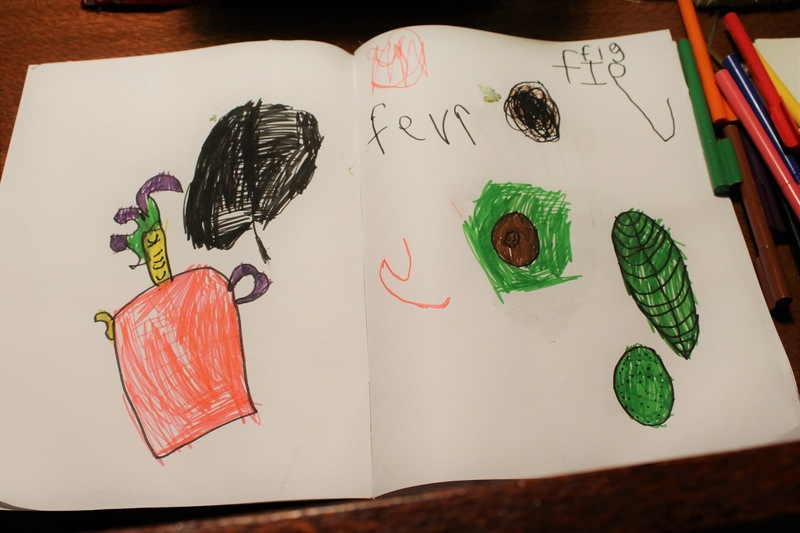 Miss 5's fig drawing and fevr (feather) writing, 3. 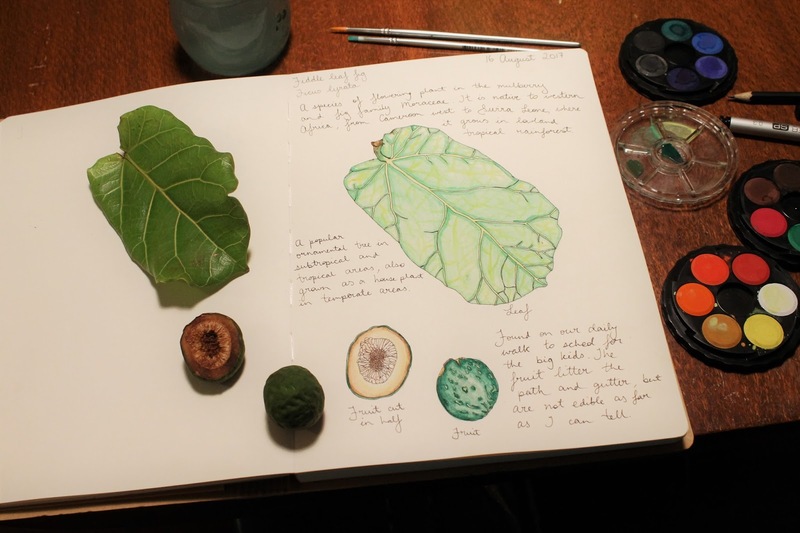 My attempts at capturing a fiddle leaf fig leaf and fruit, 4. 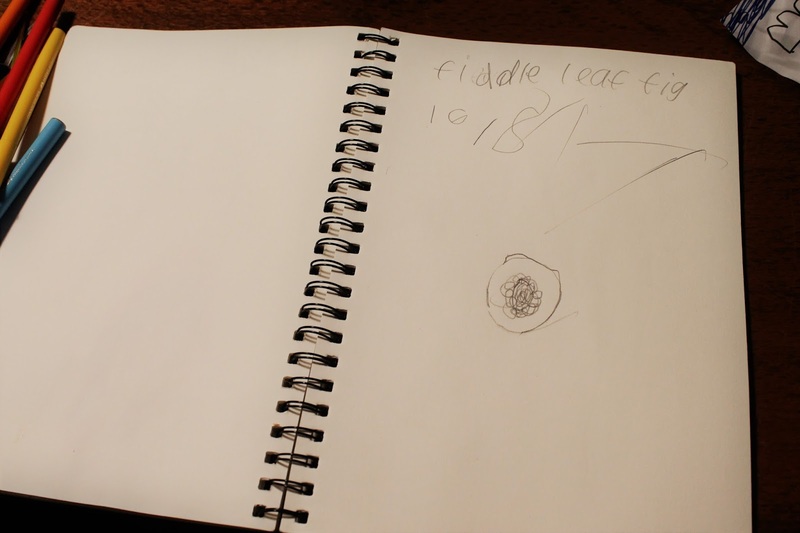 Master 8's fig, 5. Our dear Poss Poss in a trap, 6. My first pinned specimen - a Potter Wasp, 7. 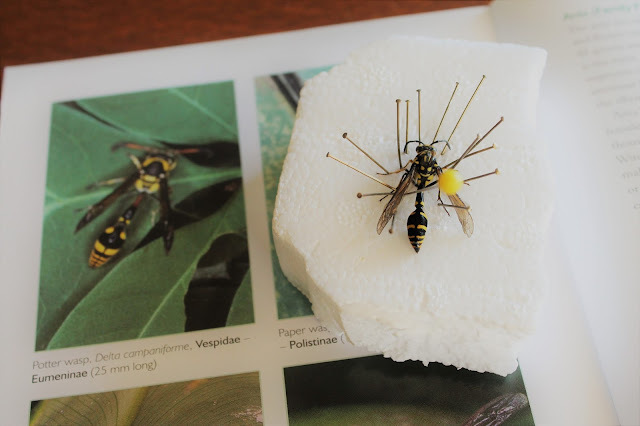 Insect Collection and Mounting Beginners Kit. Our days have been so full of late. There is never time for boredom, as there are always books to read, projects to work on, the garden to play in and nature to draw. Plus, there is always something unplanned that adds further interest or chaos. This week it was two visits from the RSPCA ambulance. Our dear Poss Poss - a wild possum - turned up to raid the compost bowl one night recently missing an entire ear. It was clearly a fresh injury and she quickly retreated once discovered, she who is usually boss of the back deck. Concerned, I called 1300ANIMAL the next morning and they agreed that she would need medical attention. A lovely gentleman, who shares his days between driving the animal ambulance and delivering meals on wheels, delivered a possum trap to us. That evening a lovely lady picked up our poorly possum, who was tempted and trapped by an apple. 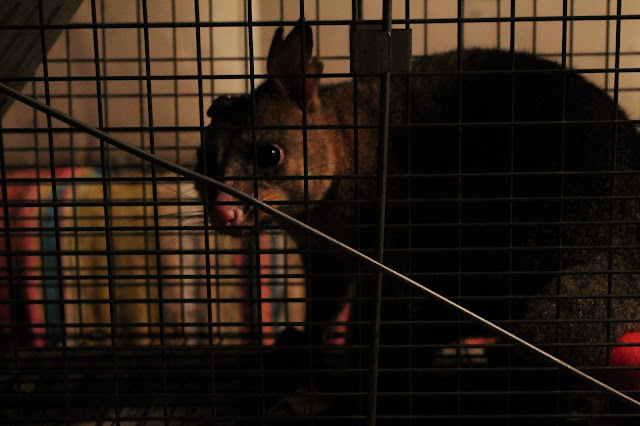 All being well she shall be returned when she has recovered, given that she is otherwise happy here and possums are extremely territorial. It seems likely it was, in fact, another possum who caused her such grief. In other news, our interest in nature journaling and entomology is only increasing. 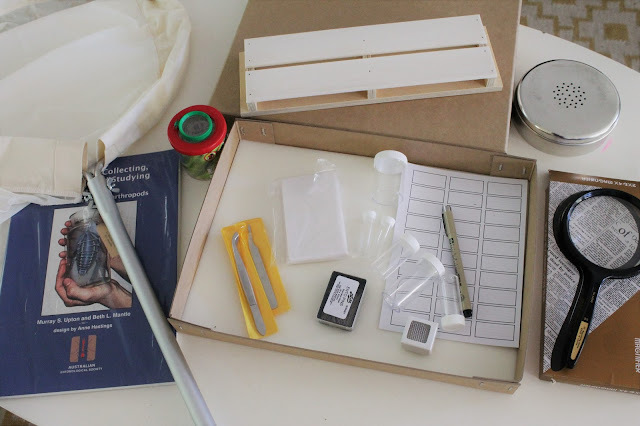 Our collection and mounting kit arrived from Australian Entomological Supplies. I invested in the purchase after some serious consideration. Given the joy that both the older children and I are getting from our adventures as budding scientists, I'm quite glad I did.